My mouth is watering. Let me begin by saying this, I am a Chicago girl at heart who LOVES Italian Beef. Pops? Portillos? Yes, please! 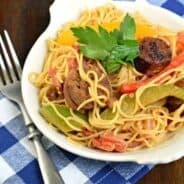 Michael asked me to make some Italian Beef, and thanks to Food Network, I was able to find this awesome recipe. My only wish is that I had a meat slicer to get this meat really really thin! My meat was sliced too thick, however, I should have shredded it (note to self). I prepared some homemade giardiniera (for the first time ever) and it was perfect. Never again will I buy the jarred stuff. This was amazingly close to the real thing folks. I ate some of it just out of the bowl, it was that good. I hope you enjoy it too! 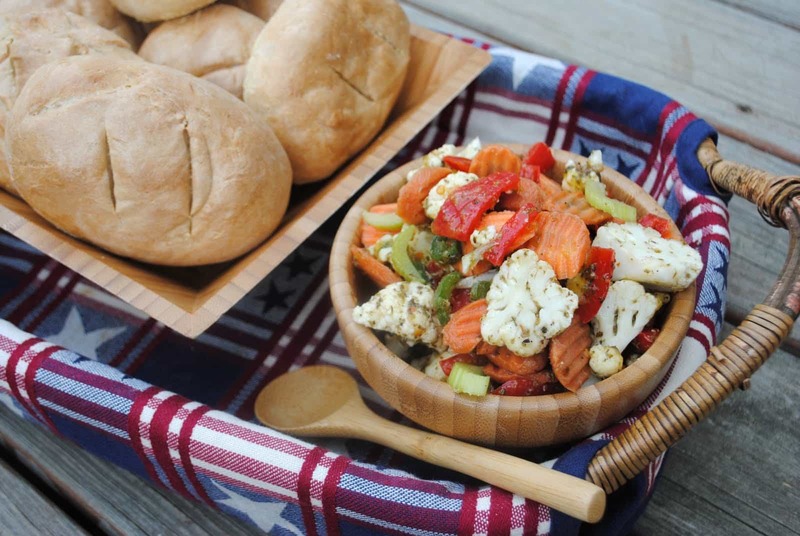 Make the giardiniera a day or two in advance, to let the flavors really mingle together. (mingle is a really funny word when you think about it). In small bowl mix together Italian seasoning, salt, black pepper, cayenne pepper, paprika, and red chili flakes. Rub seasoning all over roast. Set aside. In large skillet, heat olive oil with garlic and onions. Saute for 2-3 minutes. Add roast, cook on each side for about 3 minutes, on medium high heat, for a total of about 15 minutes. Remove roast from pan and place in large roasting pan. With remaining juices, onion and garlic, deglaze the pan by adding in red wine over medium heat. Scrape bottom of skillet, add in worcestershire sauce, beef stock and bay leaves. Pour over roast. Cook roast, uncovered, in 300 degree oven for about 3 1/2- 4 hours. Meat should be tender enough to flake with a fork. (I used two 3 lb roasts, if using a larger roast, add about 1/2 hour or more). 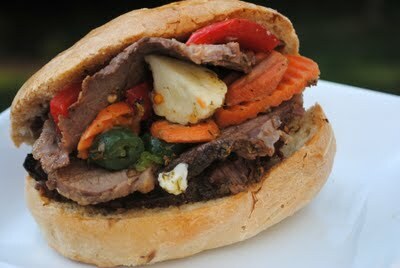 Serve beef, shredded, on a french roll with homemade giardiniera and some of the broth. Enjoy! In large bowl, mix vegeatables with ¼ cup salt. Pour enough water to cover all the vegetables (about 1 qt). Allow to soak in the brine overnight (about 12 hours). Drain and rinse. In small bowl, mix garlic, oregano, red pepper flakes, celery seed, pepper, oil and vinegar. 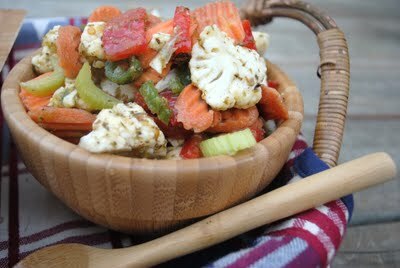 Pour vegetables into a large mason jar, pour oil mixture over veggies. Cover tightly and shake. 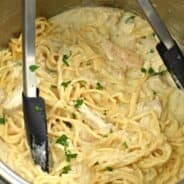 Refrigerate for 24 hours or more! Serve straight from the jar, enjoy! 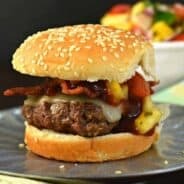 This post has “flavor” written all over it! It looks so yummy! Great shots too.